I'M FEATURED ON THE BESTY BLOG! - EAT WITH HOP! 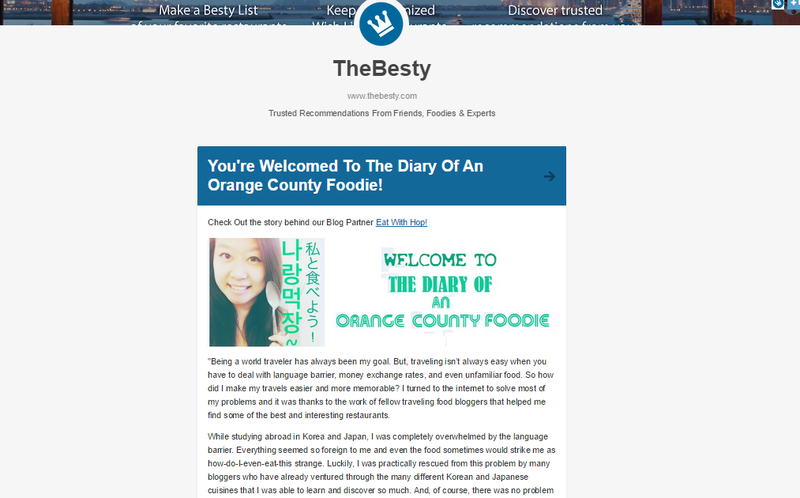 Home / DIARIES / FOOD BLOGGER / SPOTLIGHT / THE BESTY / I'M FEATURED ON THE BESTY BLOG! THE BESTY IS A NEW WAY TO CATEGORIZE AND ORGANIZE YOUR LIST OF FAVORITES RESTAURANTS AND SHARE IT TO THE WORLD. I'M HONORED THAT AN MY BLOG HAS BEEN FEATURED FOR THE WORLD TO SEE! Are you looking for Indian Food Catering in Gurgaon , Delhi NCR.Catering options gives you the best wedding planning,catering solutions,corporate caterers, party caterers. You shared very useful post. I like this. Thanks for sharing.